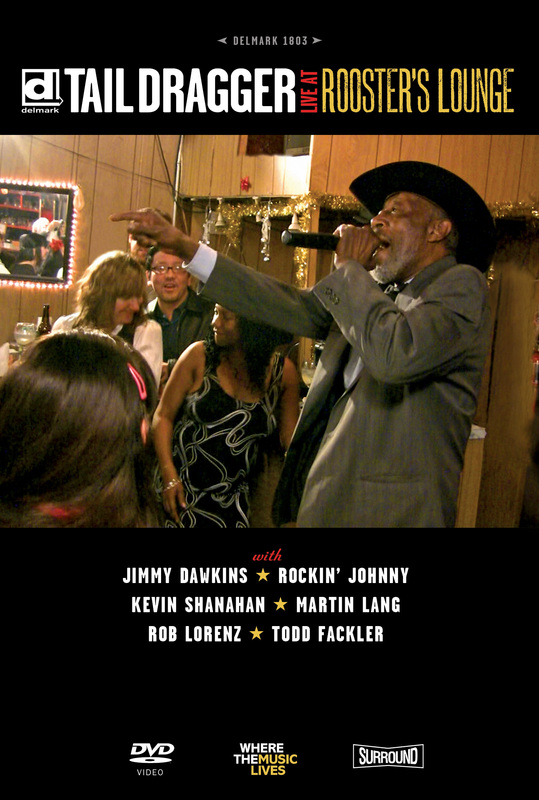 Chicago blues vocalist Tail Dragger is back with his second live DVD on Delmark. The first, My Head Is Bald: Live at Vern’s Friendly Tavern (Delmark DE 782 / DVD 1782) was chosen by Living Blues magazine as the Blues DVD of the Year in 2005! “It oozes ambience, the atmosphere tangible” – Juke Blues. Tail Dragger is now playing every Saturday night at Rooster’s located in Chicago’s West Side. Delmark captured this exciting performance on the night of March 21, 2009 featuring Rockin’ Johnny and Kevin Shanahan, guitar; Martin Lang, harmonica; Todd Fackler, bass; Rob Lorenz, drums; and special guest Jimmy Dawkins, guitar.